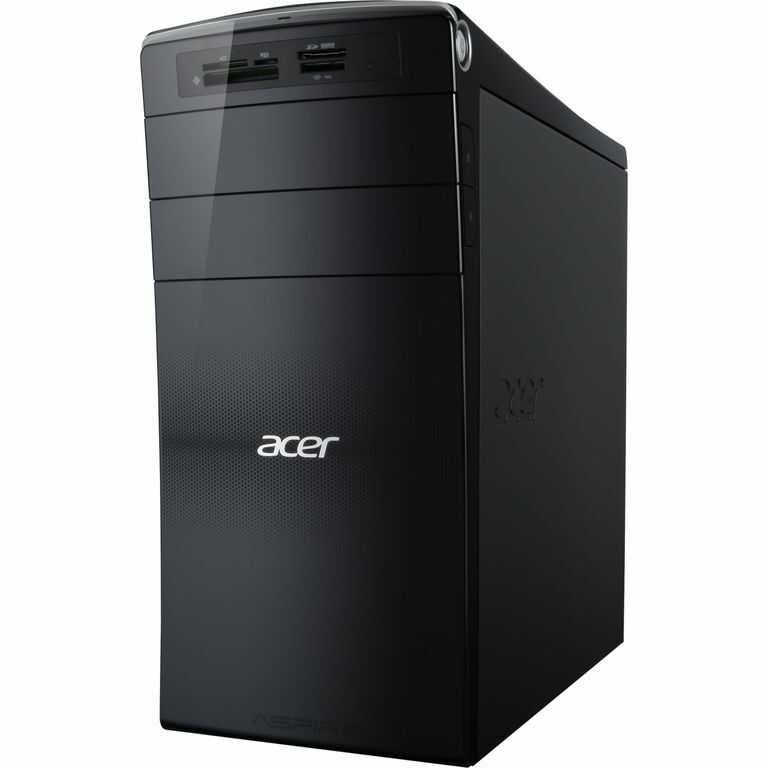 Acer has discontinued the Aspire AM3470G series of desktop PCs. If you are in the market for a new low-cost desktop computer system, check out our Best Desktops Under $400 for a list of more current systems that are available or you can check out our guide to building your own desktop PC for $500. The Acer Aspire AM3470G-UW10P is a very affordable desktop system with a price tag of just under $400. There are a few features that one gives up to achieve this price point particularly in the hard drive space which is half what many systems priced just a bit more come with. Performance is also less than can be achieved with many Intel Core i3 based desktops. AMD makes up for this though with a few more ways to upgrade the system including having four full memory slots and USB 3.0 for external high speed storage. Overall, it is a decent choice for those looking at a basic desktop PC that also has some room to be upgraded easily. Acer is no stranger to making low cost desktops using the AMD processors. Instead of using the traditional Phenom processor though, the Aspire AM3470G-UW10P is based around the A6-3620 quad core processor. In terms of performance, it will generally fall behind systems based around the Intel Core i3 dual core processors as many programs still aren't designed to run on more than two cores. It does perform a bit better with improved multitasking support but this is limited more by the 4GB of memory than the processor. At least Acer does provide a motherboard with four memory slots allowing for an easier time upgrading RAM compared to many budget desktops that provide just two. One of the reasons that the Acer Aspire AM3470G-UW10P is less expensive than much of the competition is because they opted to use a smaller 500GB hard drive. This is half the size of many other desktops in this class that offer a terabyte. Now, some of this may have been because of availability from the Thailand floods from last year. While this is less space, Acer at least makes up for this by including two USB 3.0 ports on the system for use with high-speed external storage. Most Intel-based desktops still lack these ports as they are not support natively until the Ivy Bridge processors are released. A standard dual layer DVD burner handles playback and recording of CD or DVD media and a media card reader allows use of flash card from digital peripherals. Most budget desktops rely on integrated graphics rather than on dedicated graphics cards. This is no different with the AMD A6 processor but the APU integrates an AMD Radeon HD 6530D graphics core directly on the processor. It won't have the same performance as a dedicated card but it is much greater than those offered by the current Intel HD Graphics on the Core processors. Features include Direct X 11 support and improved acceleration of non-3D applications such as Photoshop. Now, there is a PCI-Express x16 graphics card slot on the motherboard but upgrades are going to be severely limited to just the basic dedicated cards due to the 300 Watt power supply. At least it can utilize a hybrid CrossFire graphics option when used with another AMD based graphics card. Another method that Acer uses to keep the Aspire AM3470G-UW10P at a $400 price tag is including a lot of preinstalled software. By making deals with the software companies, they are able to subsidized the cost of the system. The downside is that these applications aren't always that useful for consumers and can actually decrease the performance of the system particular when booting up the PC. It is advised the buyers take the time to remove any unwanted applications to help free up some storage space and improve boot times.